In 2007, Chiquita Brands International admitted to making payments to an array of Colombian paramilitary and guerilla groups over the past ten years in exchange for a paltry fine of $25 million. One group in particular, the Autodefensas Unidas de Colombia (United Self-Defense Forces of Colombia) or the AUC was designated as a foreign terrorist organization in 2001 – and one of the primary recipients of the payments. Claiming no wrongdoing Chiquita argued that it was being extorted and that it had never received "any actual security services or actual security equipment in exchange for the payments." At the time of the initial sentencing Assistant Attorney General Kenneth L. Wainstein remarked, in a seemingly straightforward manner, that "Like any criminal enterprise, a terrorist organization needs a funding stream to support its operations. For several years, the AUC terrorist group found one in the payments they demanded from Chiquita Brands International. Thanks to Chiquita's cooperation and this prosecution, that funding stream is now dry and corporations are on notice that they cannot make protection payments to terrorists." It now appears that things are not as simple as Assistant Attorney General Wainstein initially thought. In April, Chiquita Brands International filed a reverse Freedom of Information Act lawsuit to stop the public release of thousands of documents handed over to the Security and Exchange Commission. 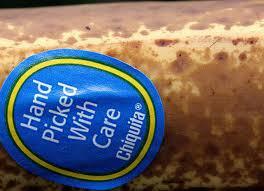 The documents are said to outline in detail Chiquita’s illegal payments to terrorist organizations such as the AUC. Furthermore, Garland has engaged in a campaign alleging that the National Security Archive is not an independent research organization, but instead is seeking to assist lawyers involved in a class action lawsuit against Chiquita in Colombia, on behalf of the victims of paramilitaries, in addition to an ongoing criminal investigation of former Chiquita employees in Colombia. The fact that the National Security Archive would not have found evidence of criminal wrongdoing if it had never happened in the first place seems lost on Garland. However, this illogical line of argument is not baseless – as in 1998 Chiquita managed to overturn a brilliant investigation by the Cincinnati Enquirer on the basis of the “illegitimate” gathering of evidence. The investigation uncovered that Chiquita was engaging in widespread murder, bribery, arms trafficking, and knowingly poisoning the environment throughout Latin America, but the charges were thrown out. The newspaper was sued and the journalists had their careers cut short. In 2007, nearly ten years after the Cincinnati Enquirer investigation, the first batch of over five thousand documents, known as the “Chiquita Papers” were published and made available to the public by the National Security Archive. The documents were released by the Justice Department and the FBI in response to the National Security Archive’s Freedom of Information requests. It will be telling how much information is released to the public, as Chiquita Brands International has some friends in very high places. During the 2007 investigation in which Chiquita was fined $25 million, the company was represented by current Attorney General Eric Holder. In effect, the current reverse Freedom of Information lawsuit amounts to Chiquita asking the United States District Court for the District of Colombia to hide documents which can potentially reveal the corporation’s involvement in criminal activities which have resulted in the death and assault of thousands of Colombians. The fact that the U.S. Department of Justice produced such a small penalty despite the evidence of criminal wrongdoing in 2007 should be disconcerning to all interested in human rights, as it is further evidence of the abuses of corporate political power.